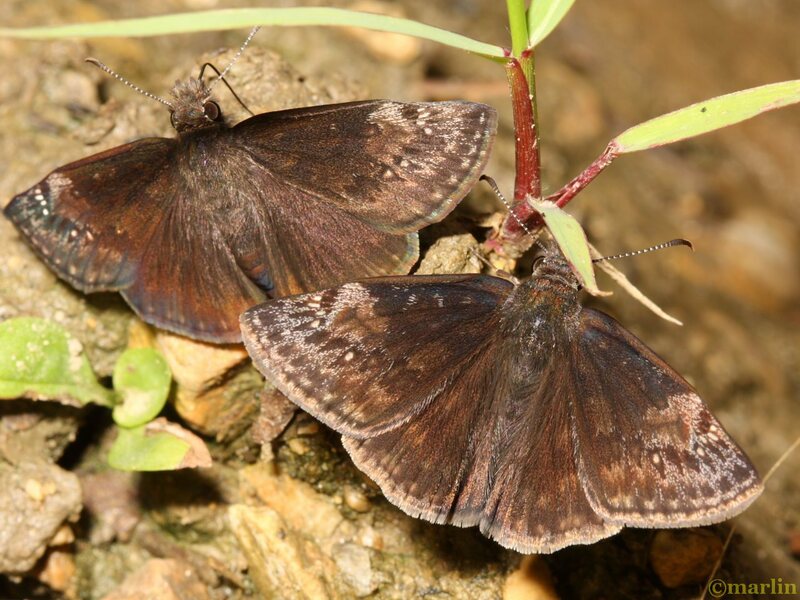 Two wild indigo duskywing skippers taking water from moist soil. Female on left, male on right. 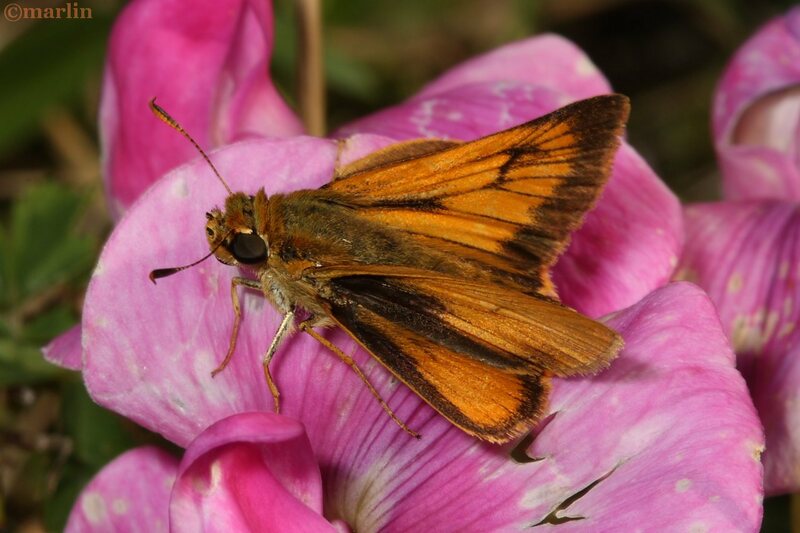 All adult skippers have six well developed legs and four wings. Their flight is often speedy and erratic and they appear highly playful. They are quite assertive and pushy for their size, which is generally less than half that of their larger, more familiar relatives. A large contingent in any flower garden is a sure sign you’re doing something right. Before I started photographing insects, I was completely unaware of these charming little butterflies. I have since come to appreciate their antics and admire their flying abilities. Atalopedes campestris – Sachem – Hodges#4049. Late-season (October 23rd) sachem is still robust and energetic in the sunshine of my zinnia garden. Long after the big boy butterflies of summer have vamoosed (save a few sulphurs and cabbage whites) these little guys are still having fun! 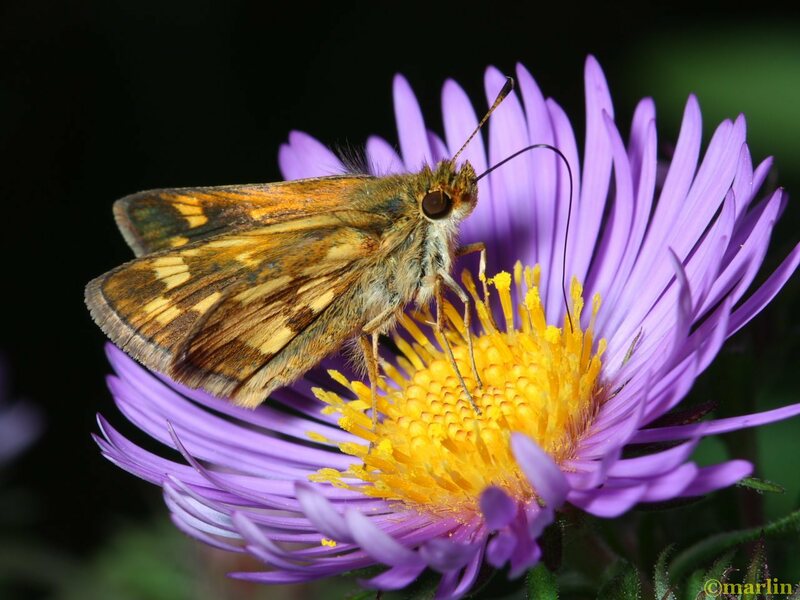 The silver-spotted is the largest skipper (ranging up to about 20mm body size) and most numerous of all butterflies in my flower gardens. They love zinnias, and are always skirmishing amongst themselves as well as “chasing away” much larger butterflies such as monarchs or tiger swallowtails. They even nudge aside bumblebees and intimidate ruby-throated hummingbirds! I love nothing better than watching skippers twirl and dance with each other while ascending up, and out of sight into the sky. What better way to spend a late-summer afternoon? 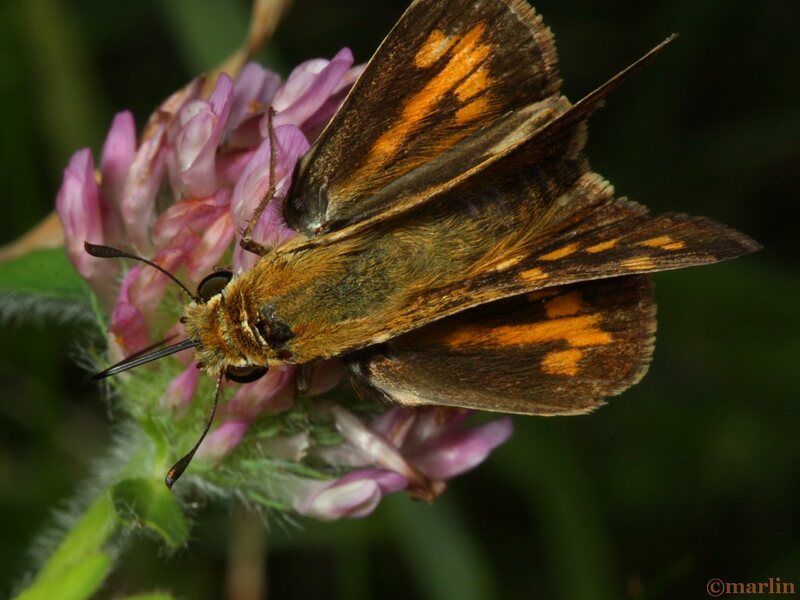 Peck’s skipper is on the small side, but their underwing markings with bright splashes of orange make them some of the most easily identified. They are extremely fast, erratic flyers, and have no trouble mixing it up with the big boys. 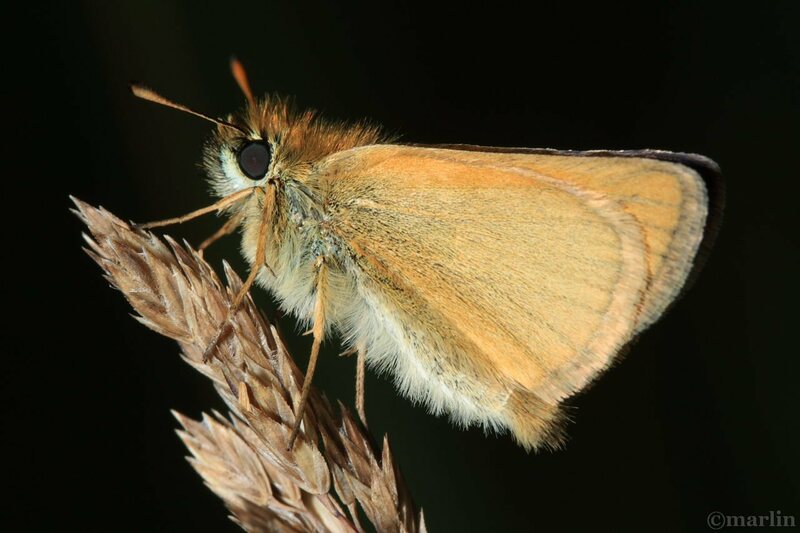 The least skipper is a small butterfly with a disarmingly weak, fluttering flight. Look for them amidst tall grass, especially near moving water. They can be extremely numerous under the right conditions, and are some of the earliest springtime flyers. They love dandelions. This is the only specimen of the checkered skipper I’ve ever seen. Please excuse the hurried shot; I wish I’d had more time with this unusually-colored butterfly. That blue colored hair might seem at home in a mosh pit. 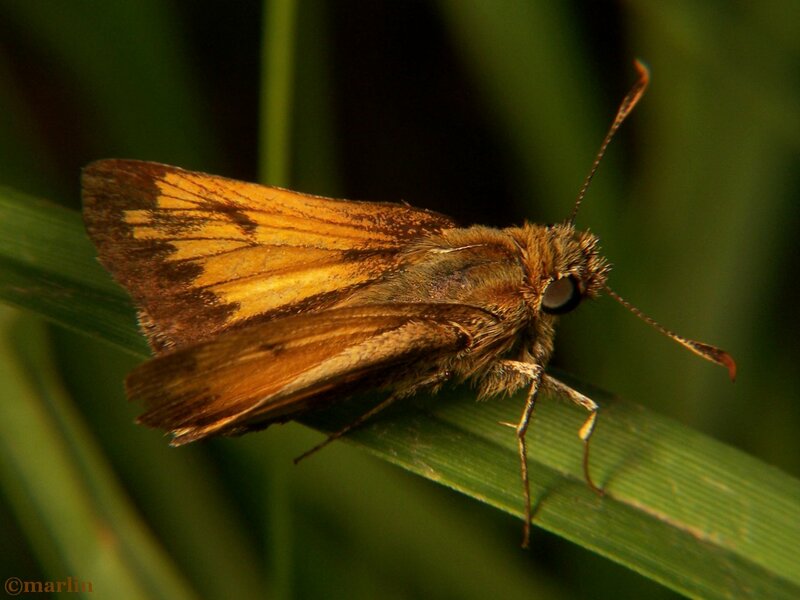 The Delaware skipper uses many varieties of host plants for laying eggs. Identification: Upper side of forewing is dark on the basal half and lighter on the outer half, with a distinct orange-brown patch at the end of the cell. Male has a costal fold containing yellow scent scales; female has a patch of scent scales on the 7th abdominal segment. Life history: Males perch in open areas on low shrubs to wait for females. Eggs are deposited singly on the host plant. Fully-grown caterpillars from the second brood hibernate. Flight: Two broods from late April to early June and from July to August. Wing span: 1 3/8 – 1 5/8 inches (3/5 – 4.1 cm). 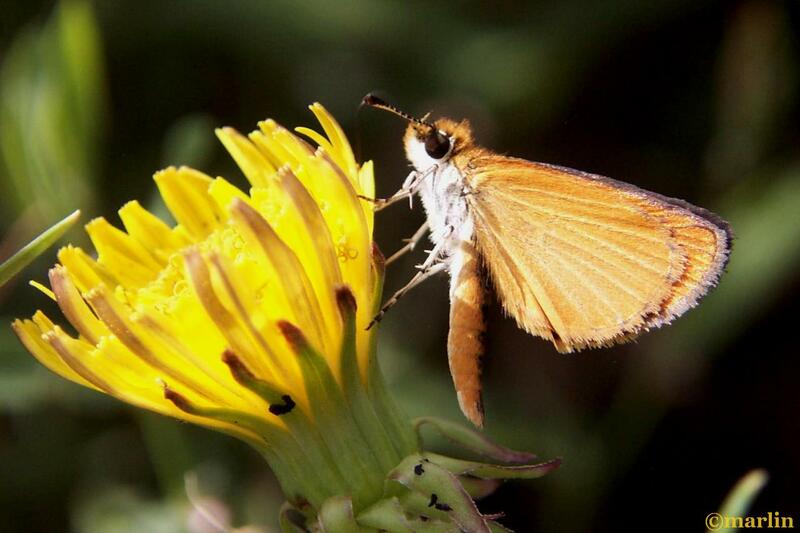 It’s the male fiery skipper that puts the fire in the skipper. They are brilliantly orange colored, which makes them highly visible as they dart around with their swift and erratic flight. And it’s the female’s comparatively drab paint job that provides her with excellent camouflage, especially in flight. It’s extremely difficult to follow her swooping and continual abrupt changes of direction. Luckily, if you have a sunny field with blooming clover and short foliage, they can be numerous enough where finding a new subject is quick and easy. 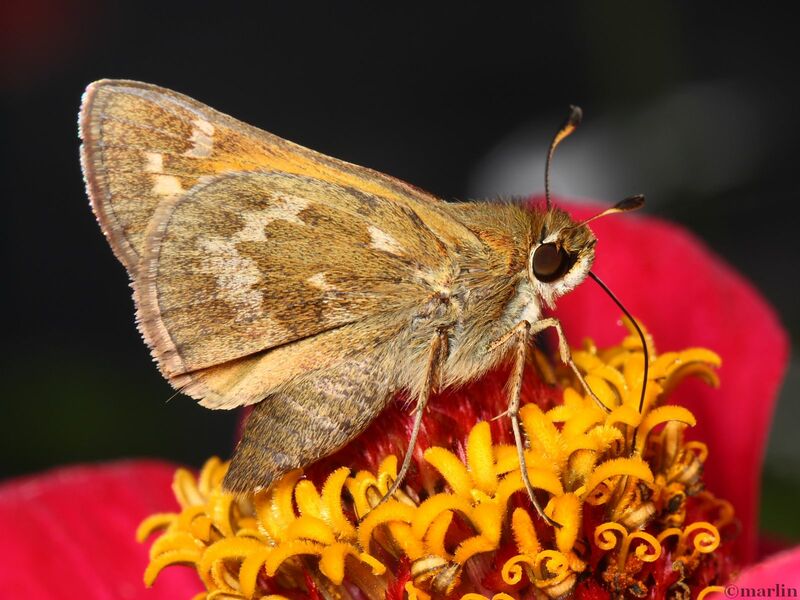 Skipper Butterflies share some characteristics of moths; stocky with a large head, widely spaced, hooked antennae, a chunky body and short wings. 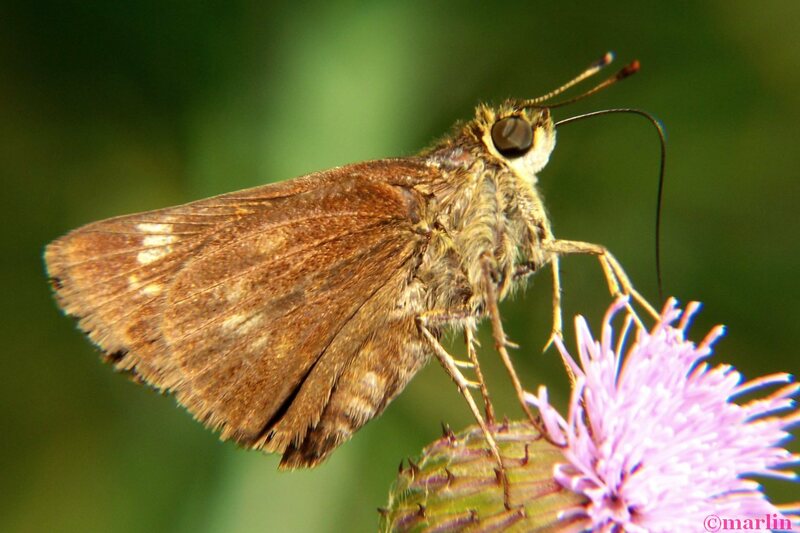 Skipper wings are usually well-rounded with more or less sharply-tipped forewings. 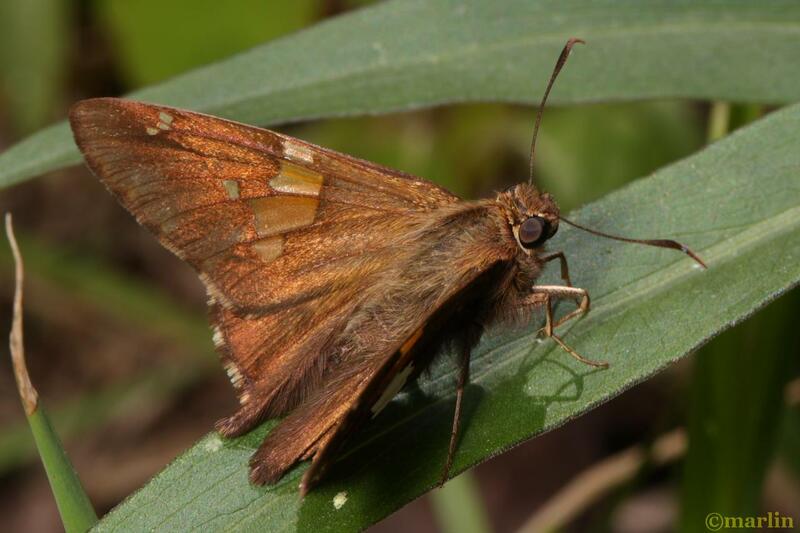 There are some with prominent hindwing tails, and others have more angled wings; the skippers’ basic wing shape varies not much by comparison to Papilionoidea however. Most have a fairly drab coloration of browns and greys; some are more boldly black-and-white. Yellow, red and blue hues are less often found, but some largely brown species are quite rich-colored too. Green colors and metallic iridescence are generally absent. 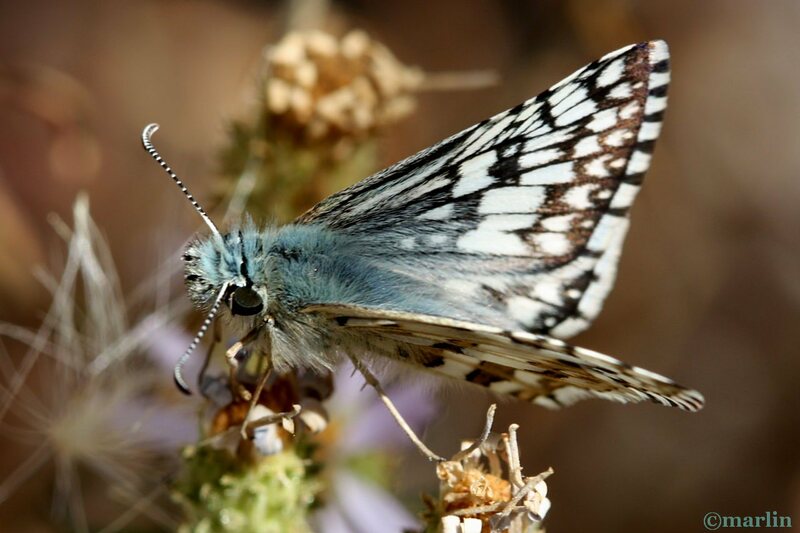 Sexual dichromatism is present in some; males may have a blackish streak or patch of scent scales on their forewings. Firetips, subfamily Pyrrhopyginae. 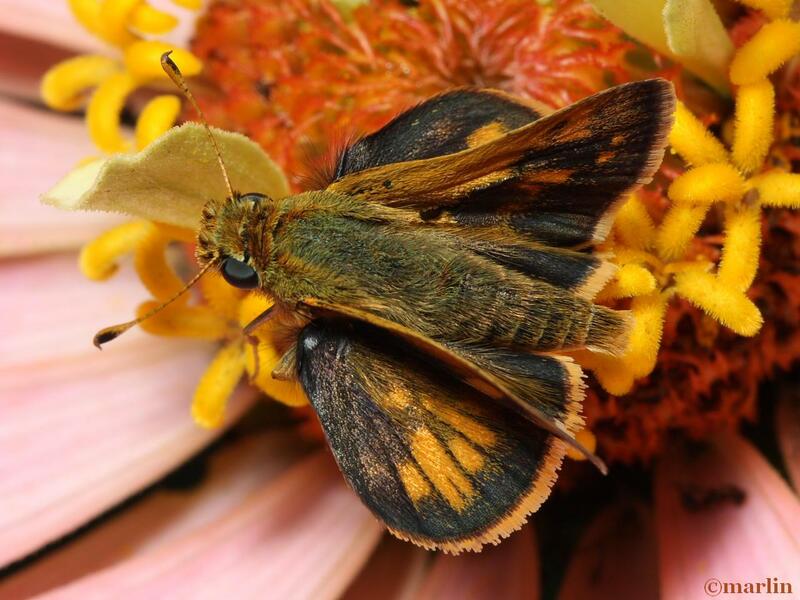 Only one species of this mainly subtropical group inhabits North America: the Atraxes skipper.